The due process hearing in this matter was held on November 16, 17, 18, 29, 30, December 1 and 2, 2010, in Los Angeles, California, before Clifford H. Woosley, Administrative Law Judge (ALJ), Office of Administrative Hearings (OAH). Arlyn M. Latin, attorney at law, and Lori Lowenthal, advocate, appeared on behalf of Student. Student’s Mother and Father were present for the hearing. Patrick Balucan, assistant general counsel, appeared on behalf of Los Angeles Unified School District (District). District Due Process Specialist, Dr. Deborah Neal, and District Coordinator for the Due Process Unit, Lisa Kendrick, attended the hearing. Student filed a Request for Due Process Hearing (complaint) on May 13, 2010. On July 9, 2010, OAH granted, for good cause, a continuance of the due process hearing, pursuant to the parties’ joint request. On October 14, 2010, OAH granted, for good cause, District’s request to continue the hearing dates of November 22 and 23, 2010, to November 29 and 30, 2010. On December 2, 2010, at the close of hearing, the parties were granted permission to file written closing arguments by January 10, 2011. Upon receipt of the written closing arguments, the record was closed, and the matter was submitted. provide Student an extended school year (ESY) program? predetermining the contents of Student’s September 21, 2009 IEP regarding a behavior support plan (BSP)? 1. Student is a 10-year-old boy in fifth grade, who is eligible for special education services. At all times relevant herein, Student attended District’s Carpenter Avenue Elementary School (Carpenter). Student’s diagnoses include attention deficit hyperactivity disorder (ADHD), and pervasive developmental delay, not otherwise specified (PDD-NOS). Until October 2009, Student’s eligibility was solely specific learning disability (SLD), due to auditory and visual processing deficits. During Student’s annual review in 2009, the IEP team concluded that Student was eligible as SLD, speech and language impaired (SLI), other health impaired (OHI), and autistic-like behaviors (AUT). The IEP team also determined that Student’s autism was his primary disabling factor, and changed Student’s eligibility from SLD to AUT. 2. During the 2008-2009 school year, Student was in the third grade, and in Carpenter’s special day class (SDC). Student’s 2007 annual IEP also provided related services of 30 minutes a week of occupational therapy (OT) for fine motor skills and 30 minutes a week of counseling and guidance (DIS counseling). Susan Lisa Jauregui was Student’s third grade SDC teacher, and had been Student’s SDC teacher during his second grade year. Ms. Jauregui testified at hearing, and explained that she left Carpenter after Student’s third grade year, and became a resource specialist with the District at a different school. Prior, she was a substitute teacher with the District for one year, after earning her bachelor of arts degree in liberal studies in 2007, from California State University at Northridge. She holds teaching credentials for multiple subjects, as well as for level two special education, qualifying her to teach and assess special education students. Her duties at Carpenter included teaching students with IEP’s in a SDC, which generally contained approximately 10 students. These students had audio and visual processing disorders, autism, and other learning disabilities. Ms. Jauregui had three adult aides to assist in the Carpenter SDC class. 1 Student withdrew this issue in his closing brief. 4. When Student was in third grade, Student’s emotional responses were not abnormal from the other students. Ms. Jauregui reported that Student matured, and his social interactions and problem solving skills improved. Though he would become frustrated when he encountered difficulty with his academics, he did not have difficulty with every subject and lesson. As third grade progressed, his frustration and anger became less frequent, less intense, and shorter in duration. Ms. Jauregui explained that, compared to the other children, Student’s behavior was “in the middle,” and noted that other students had more significant behavior problems. Ms. Jauregui rated Student’s academic performance as very capable, one of her better students. 5. However, according to Father, who testified at hearing, Student’s negative behaviors escalated as Student entered the third grade. Father explained that he was at a loss as to why negative behaviors continued to increase, especially given Student’s placement in the same SDC, with the same SDC teacher, with the same students. Therefore, in October 2008, Father enrolled Student in UCLA’s ABC Partial Hospitalization Program at the Resnick Neuropsychiatric Hospital (ABC Program). 6. The ABC Program is an intensive partial hospitalization program that runs Monday through Friday, 8 a.m. to 4 p.m. Student fully participated in the program for five and a half weeks, and was discharged on November 25, 2008. A daily, consistent, and predictable schedule included cognitive behavioral therapy, trials of medications with careful monitoring, individual therapy, occupational therapy, recreational therapy, task groups, and a specialized hospital school program. The ABC Program included two hours of academics per day, directed by the District, with small class sizes of two to five children, and two teachers. Instruction included significant one-to-one teacher supervision, and a full range of academic work that complemented the abilities of each of the individual pupils. Parents participated in weekly meetings and parent training. 7. The ABC Program recognized Student’s diagnosis of PDD–NOS, Anxiety Disorder NOS, and a learning disorder. Student received Prozac (fluoxetine) to help with his anxiety and irritability, and remained on the medication during the hospitalization. The ABC Program teachers noted that Student was unable to read age-appropriate words on various cards and game boards. Student had difficulty “sounding out” words, and often guessed or gave up. 8. The ABC Program conducted cognitive testing, using the Weschler Intelligence Scale for Children, Fourth Edition (WISC-IV). Student had variability across and within various domains. The Verbal Comprehension Domain measured verbal reasoning, verbal fluency, and vocabulary. Student obtained a score of 93, placing his performance in the average range of cognitive functioning. The Perceptual Reasoning Domain measured nonverbal reasoning, sequencing, and visual spatial and visual motor integration skills. Student scored an 82, placing him in the below average range of cognitive functioning. The Working Memory Domain assessed auditory short-term memory, attention, concentration, and working memory. Student obtain a score of 83, which placed him in the below average range of cognitive functioning. The Processing Speed Domain assessed visual processing speed, attention, visual spatial integration and fine motor control. Student scored a 94, placing him in the average range of cognitive functioning. In summary, the ABC Program concluded that Student functioned in the low average range of cognitive functioning. He struggled with perceptual reasoning, abstraction, attention, concentration, and working memory. Student was relatively better with abstract verbal reasoning, expressive vocabulary, social rules of behavior, and general factual information. 9. The ABC Program also administered achievement tests, using the Woodcock-Johnson III-Tests of Achievement. Student scored in the average range in oral language, story recall, understanding directions, and applied problems. These scores were at grade level. He scored in the low range in brief achievement, broad math, brief reading, written expression, academic applications, letter-word identification, reading fluency, writing fluency, attention, and writing samples. These scores indicated that Student was nearly one full school year behind. Student scored in the borderline range in broad reading, broad written language, math calculation skills, math fluency, brief writing, academic skills, fluency, and spelling. Also, his handwriting was inferior. 10. The ABC Program concluded that Student made progress with his social skills, such as coping strategies when frustrated. He did well in a positive, encouraging environment, showing an ability to be flexible with clear explanations. The program concluded that Student could continue to advance with adequate supports, but would need much more support than he was currently receiving at school. The ABC Program recommended the following: 1) speech and language therapy services, a minimum of two to three times per week, for 45 to 60 minute sessions with the sessions focusing on word retrieval, auditory processing, abstract language, and pragmatic/social communication skills; 2) more intensive special education in a positive environment; 3) a hearing screening; 4) a referral to a knowledgeable audiologist to assess Student for central auditory processing disorder (CAPD); 5) an occupational therapy evaluation for sensory processing and integration skills; 6) continued occupational therapy services at school for fine motor coordination and skills; 7) continued counseling for psychological support at school; 8) encouragement to accept duties at school; and 9) extracurricular activities which Student enjoys and with which he can gain confidence. 11. The ABC Program Report referred to a speech and neuropsycholinguistic evaluation by speech-language pathologist, Theresa Limtiaco, of the Semel Institute at UCLA (UCLA Semel Evaluation). Ms. Limtiaco assessed Student during eight sessions in November 2008, in order to establish a communication skill profile of Student’s strengths and weaknesses in the following areas: 1) language (receptive and expressive vocabulary, syntax and abstract language); 2) auditory language processing; 3) pragmatics and social interaction; and 4) speech (articulation, voice, prosody and fluency). She performed an oral peripheral exam and a hearing screening. Ms. Limtiaco administered the following tests: Peabody Picture Vocabulary Test-4 (PPVT-4) (Form A); Expressive One-Word Picture Vocabulary Test (EOWPVT); Clinical Evaluation of Language Fundamentals-Fourth Edition (CELF-4); Test of Language Competence-Expanded Edition (TLC-E) (Level 1); Elementary Test of Problem Solving-3 (TOPS-3); The Listening Test; and Language Sample. 12. The speech and language assessment indicated that Student demonstrated average level strengths in his receptive and expressive single-word vocabulary skills, although the assessment showed word retrieval difficulties. Assessment of his basic receptive and expressive language skills targeting semantics, syntax and auditory memory and processing, showed variability from average to moderately below average. Student demonstrated difficulty with more abstract language skills. Overall, Student performed within the mildly below average range on a measure of verbal problem-solving and critical thinking. He performed below the average range on subtests assessing his ability to make inferences, sequence, problem solve, and predict, negatively impacting his pragmatic and social communication skills. 13. The UCLA Semel Evaluation made a number of recommendations. Ms. Limtiaco recommended a hearing screening, CAPD assessment, and an OT assessment of sensory processing and sensory integration skills. The UCLA report emphasized the need for speech and language therapy services, recommending a minimum of two to three weekly sessions of 45 to 60 minutes. The sessions should focus on word retrieval, auditory memory and processing, abstract language, reasoning, critical thinking, and expository, narrative, and conversational skills in oral and written language expression. The report also recommended that Student receive pragmatic and social communication training within a small group setting with his peers. The report noted that an important component in the delivery of services to Student was consultation and collaboration with the classroom teacher, parents, and other professionals working with Student. 14. The UCLA Semel Evaluation listed “compensatory strategies” to be used within the classroom setting to address Student’s auditory processing difficulties. These included the following: 1) obtaining Student’s attention by an agreed-upon verbal or physical cues, before presenting auditory information; 2) requiring appropriate eye contact; 3) minimizing auditory and visual distractions; 3) providing seating close to the teacher; 4) speaking slowly and clearly; 5) using simple, brief language for direction; 6) pairing visual with auditory information; 7) utilizing a multisensory approach to learning; 8) repeating, rephrasing, and paraphrasing information as appropriate; 9) previewing new information or content with emphasis on main ideas and keywords; 10) watching Student to ensure adequate comprehension, seeking feedback as information is presented; 11) providing additional time to process directions and information for expecting a response; 12) assisting Student in taking personal responsibility; and 13) playing an active role in managing any auditory processing difficulties. 15. These were remarkably similar to the accommodations he was receiving pursuant to his annual 2007 IEP. Father explained at hearing that when the ABC Program discharged Student on November 25, 2008, Student was happier and more open to learning. 16. On December 10, 2008, the IEP team held Student’s annual IEP meeting. The team consisted of Parents, the assistant principal, Sandra Hartshorn, Ms. Jauregui, the general education teacher, Stephanie Parker, and the school psychologist, Eleanor Jurist. The District did not administer any formal assessments for the 2008 annual IEP. Parents provided the UCLA Semel Evaluation and the ABC Program Report to the District. 17. The classroom teacher Ms. Jauregui and the school psychologist reviewed Student’s progress toward the previous year’s goals. Ms. Jauregui also discussed Student’s performance in class. Student failed to meet his social-emotional incremental objectives and annual goal. 18. Ms. Jauregui advised the team that Student met all his prior objectives and annual goals in reading, writing, and math. At hearing, Ms. Jauregui explained that she determined Student’s progress toward objectives and goals using Student’s work samples, teacher assessments, and observations. She developed Student’s present levels of performance (PLOP) for reading, writing, and math. In reading, she reported that Student met the second grade open court reading (OCR) assessments in reading comprehension for three of the four assessments. Student also met the vocabulary benchmark in two of the four unit assessments. Student recognized 15 of 20 third grade high frequency words, and fully engaged in whole group discussions and lesson of anthology stories, word analysis, and vocabulary development. Student could read vocabulary, phrases, and sentences independently, and retell the central idea of simple stories. Ms. Jauregui noted Student’s area of need in developing expression, intonation, and automaticity. In the area of fluency, Student performed at 67 words per minute, below third grade level. Student was still behind in fluency though he worked on complex word families since second grade. At the IEP, she believed Student’s fluency would improve as he increased sight word knowledge and practiced reading. 19. In her PLOP for writing, Ms. Jauregui reported that Student’s area of strength was using correct word order in sentence structure, putting spacing between words, and writing three to five simple sentences with correct spelling and punctuation. He was able to group related ideas and maintain focus in his writing. Student continued to have difficulty writing neatly. Ms. Jauregui noted that Student needed to put more detail into his writing, developing paragraphs with a topic sentence, and supporting facts and details. At hearing, Ms. Jauregui explained that developing paragraph structure was a natural progression from second grade to third grade level expectations. 20. In her PLOP for math, Ms. Jauregui reported Student could count by twos, fives, and tens. He could count read and write whole numbers to 1000, and identify the place value for each digit. He understood the symbols of greater, equal, and less than, and he could find the sum and difference of two and three digit numbers, with and without grouping. Student could also name and identify the value of coins, and tell time to the nearest quarter hour. Student’s need was to understand higher levels of mathematics, and to especially memorize with automaticity the multiplication table for numbers between one and 10. Ms. Jauregui recommended accommodations, including extra time for Student to complete his work, and the repetition of directions. Ms. Jauregui also recommended that Student receive assignments in smaller chunks, and that Student use manipulatives to help him understand mathematical concepts. 21. Using the PLOP’s, Ms. Jauregui developed and proposed new annual goals and incremental objectives in reading, writing and math. In reading, the December 2009 annual goal was to increase fluency by having Student read selected third grade passages at a fluency rate of 80 words per minute, in three consecutive trials, as measured by Student’s work sample, and teacher-charted data. For the annual writing goal, Student was to compose a single paragraph, including a topic sentence, supporting sentences, and a concluding sentence, with 80 percent accuracy in three of four trials, as measured by Student’s work samples, following teacher-led, pre-writing activities. The annual math goal required Student to complete multiplication for numbers between one and 10, with 80 percent accuracy, in four of five trials, as measured by Student’s work samples when given a blank multiplication chart. 22. At hearing, Ms. Jauregui explained that Student worked on much more than the goals and objectives listed in the IEP. For example, the District used Harcourt curriculum as its math program, which had Student working on more than mere multiplication. Student was working towards third-grade standard for all subjects in the SDC. The goals only addressed Student’s needs for a given subject. They did not address the full breadth of Student’s special education curriculum. 23. The occupational therapist, Ann Maxham, did not attend the meeting, but she did prepare an OT report that Ms. Hartshorn presented at the meeting. The report showed that Student met his annual goal and two incremental objectives. In the OT PLOP, Student was said to have demonstrated improvement in writing legibly with appropriate spacing and sizing of letters, with only occasional verbal prompts. Student could also draw simple shapes, but needed cuing for proportions and drawing details. He could cut a star within 90 percent on line, complete mazes, and replicate complex block design with a cue. His area of need concerned his visual motor skills. Though his writing had improved, his line orientation lacked consistency. Student required prompting to cut complex pictures and copy designs. The annual OT goal was for Student to complete a two-to-three step visual motor task, with 80 percent accuracy, no more than one prompt in two of three trials. 24. Student’s PLOP for social-emotional said little about his behaviors at the time of the IEP, stating that Student had been absent six of the previous seven weeks at the ABC Program. The school psychologist advised the team that Student attended the individual therapy sessions to work on his impulse control goal. The psychologist noted that although Student was very cooperative, he was extremely restless, and had difficulty sitting still. In the PLOP, the psychologist recommended that Student continue with the weekly counseling sessions in order to support the progress he made in controlling his impulsive behavior. The IEP’s one social-emotional annual goal was for Student to develop impulse control in the school setting 80 percent of the time. 25. In the course of performing her regular duties, Ms. Hartshorn saw Student in Ms. Jauregui’s classroom 10 to 15 times between the 2007 and 2008 annual IEPs. Ms. Hartshorn, who testified at hearing, was the assistant principal elementary instructional specialist (APEIS) at Carpenter for five years. Ms. Hartshorn had previously been a classroom teacher of third/fourth and fourth/ fifth grade combination classes, for more than 11 years. She was a literacy coach for two years, and participated in the professional development of teachers, and built reading and language arts programs. She was also a success-for-all facilitator (a school reform reading program) for over two and a half years. As an APEIS, Ms. Hartshorn oversaw Carpenter’s special education program, attended IEP meetings, and ensured implementation of IEP’s. She was now a District APEIS, assigned to two other schools. Ms. Hartshorn received her bachelor of arts in local studies in 1987, from California State University at Northridge, as well as her master of arts in education administration in 2003. She possesses California multiple subject and administrative services credentials. 26. Ms. Hartshorn explained that she saw Student given verbal reminders when not on task. Student responded to redirection and got back to work. Student was acting appropriately with his peers. Ms. Hartshorn also observed Student on the playground actively participating in games and talking to friends. She witnessed no incidents of discipline. Student was never sent to the administrative offices because of his behaviors. Ms. Hartshorn explained that the IEP did not discuss any out-of-control behaviors at the December 2008 IEP meeting, because no behaviors were at issue. She recalled no parental concerns regarding Student’s behavior expressed at the meeting. Ms. Hartshorn could not recall if the IEP team discussed a behavior support plan, but explained that Student received behavior support in class. 27. The team reviewed the ABC Program report, and its recommendations that Student receive speech and language therapy, two to three times per week, for 45 to 60 minutes per session. The team also acknowledged ABC Program’s recommendation that the speech and language sessions focus on word retrieval, auditory processing, abstract language, and pragmatic/social communications skills. District declined to offer any speech and language services until it had an opportunity to conduct its own speech and language evaluation. District did not separately review the UCLA Semel Evaluation at the IEP. 28. District made the following offer of placement and services: 1) SDC placement; 2) DIS counseling services, 30 minutes per week; 3) OT services, 30 minutes per week; and 4) ESY for summer 2009. This was the same offer District made in the previous year. Ms. Hartshorn explained that Student had made progress with this program, which is why District offered it again. Ms. Hartshorn attributed the success of the program to the high adult to student ratio of the SDC, which provided Student individualized attention. 30. After some deliberation, Parents consented to the IEP on February 6, 2009. 31. On May 22, 2009, the IEP team met to consider three assessments conducted by District: 1) a March 11, 2009 speech and language assessment; 2) a March 24, 2009 CAPD assessment; and 3) an April 24, 2009 central auditory processing (CAP) and audiologic assessment. The IEP team consisted of: Parents; Ms. Hartshorn; Ms. Jauregui; general education teacher, Melita Bali; audiologist, Ms. Diaz-Rempel; and Student’s advocate, Ms. Lowenthal. Speech and language pathologist, Angella Wallace, attended via telephone. 32. The speech and language assessment, conducted by speech and language pathologist, Angella Wallace, evaluated whether Student needed speech and language therapy. Ms. Wallace testified at hearing. She has been a speech and language pathologist with the District since 2009. She was presently assigned to Carpenter and Grant Senior High School. Ms. Wallace started working at Carpenter at the end of 2008, and has worked consistently at Carpenter from September 2009 to the time of hearing. Previously, she worked on a per diem basis as a nonpublic agency (NPA) speech and language pathologist for approximately three to four years, on and off, throughout the District. Ms. Wallace has been a speech and language pathologist since receiving her license in 2007. In her position as a speech and language pathologist, she screens, assesses, and treats students with speech and language disorders. 33. Ms. Wallace received her bachelor of arts degree in communication disorders and sciences from California State University at Northridge in 2003, from where she also received her master of science in communication disorders in 2005. She possesses a California speech and language pathologist license and Certificates of Clinical Competence (CCCs) from American Speech-Language-Hearing Association. Though not stated in her report, Ms. Wallace testified that she reviewed the UCLA Semel Evaluation and the ABC Program Report in preparation for her assessment. 34. Ms. Wallace conducted teacher and parent interviews, reviewed Student records, used standardized assessments, and a language sample in her evaluation of Student. She noted that Student had previously received speech and language services in 2003 for a mild articulation disorder but, upon evaluation in December 2005, District dismissed Student from speech language services. Her oral peripheral examination established that Student was stimulable and had slight articulation errors, which did not have significant impact, noting that Student was intelligible in all contexts. Ms. Wallace used two standardized assessments: 1) the Orland Written Language Scales (OWLS); and 2) the Comprehensive Assessment of Spoken Language (CASL). Ms. Wallace used OWLS to determine Student’s language levels for oral expression and listening comprehension. She also used the CASL to determine language levels, using six subtests: 1) antonyms; 2) syntax construction; 3) paragraph comprehension; 4) nonliteral language; 5) inference; and 6) pragmatic judgment. 35. The OWLS results showed that Student scored within the average range. He was able to express himself and understand language on par with his peers. The CASL results provided more specific information as to Student’s strengths and weaknesses. Student scored in the average range in the use of antonyms, syntax construction, paragraph comprehension, and nonliteral language. He scored below average in pragmatic judgment and inferencing. Ms. Wallace explained that these scores indicated that Student would have difficulty with the social use of language in predicting what or why someone might do or say. Student’s primary difficulties were in the pragmatic use of language and understanding innuendo and humor. 36. Ms. Wallace also used a language sample consisting of a minimum 50 utterances by Student, and concluded that in semantic usage (vocabulary and word finding), Student had an adequate vocabulary from which to communicate his thoughts and ideas. However, he had minimal difficulty with word retrieval when engaged in conversations. In grammatical structures (syntax and morphology), Student made minor errors in word order during testing and conversations. He was able to create compound or complex sentence structures using conjunctions (and, but, or) and subordinator (although, because, since) when shown pictures, and given the independent clauses to conjoin. However, he had difficulty with irregular past tense and plurals. At hearing, Ms. Wallace explained that these results were consistent with Student’s CASL results. 37. In pragmatics (social language), Ms. Wallace found that Student demonstrated difficulty initiating and maintaining conversation topics. Student did not generate questions and had difficulty giving directions, making introductions, requesting information, choosing and initiating appropriate topic choices, and inquiring about another person’s perspective and thoughts. These results were consistent with Student’s CASL subtest results in pragmatic judgment. Ms. Wallace also concluded that Student’s phonology (level of intelligibility) showed that Student was intelligible in all contexts. 38. Ms. Wallace interviewed Student’s Mother, who expressed the belief that her son’s speech and language abilities were the reason he was in special day class. Mother believed that by improving Student’s skills in the area of speech and language he would no longer require special education and would be moved into a regular education classroom setting. Mother also told Ms. Wallace her son was not progressing in his reading skills. She requested more intensive speech and language services in order to advance his abilities in the area of reading. 39. Ms. Wallace also interviewed Student’s teacher, Ms. Jauregui, who reported that Student often appeared off task, distracted, and fidgeted in his seat. Ms. Wallace observed similar conduct during testing, when having to frequently remind Student to pay attention and focus on the material. 40. Ms. Wallace concluded Student needed speech and language services to address his pragmatic difficulties, as well as his super linguistic needs, consisting of nonliteral language, idioms, and inferences. She recommended speech and language therapy services one time per week, 30 minutes per session, in a small group setting. She also recommended that Student receive accommodations, such as having directions repeated, checking for understanding, and instructions given both visually and verbally. 41. At hearing, Ms. Wallace did not adequately explain how she arrived at 30 minutes per session for speech and language services. When asked whether she used a formula in determining the amount of speech and language services to offer Student, she indicated, in essence, that she had not. She explained that she considered formal test scores, informal procedures, and classroom and clinical settings, but indicated that no particular consideration carried more weight than another. When Ms. Wallace was shown a form she completed entitled “Communication Severity Scales” concerning Student, which consisted of a three by four grid, with number scores for articulation/phonology, voice, fluency, and language, she could not explain what the numbers meant, and why she used the form for Student. However, weeks later, when she completed her testimony, Ms. Wallace explained she used the grid as a tool to help her figure out how much time would be appropriate for services. 42. Ms. Wallace checked a box on the report, which said that the assessment results may have been affected by the Student’s environmental distractibility. She noted that his general attention appeared to be removed from the testing situation. When asked if this made her results unreliable, Ms. Wallace explained that the results were still valid. She explained that if Student’s distractibility affected the test results, it would have meant that he would have scored lower, not higher. She therefore concluded that, for purposes of evaluating Student’s speech and language needs, the results were reliable. 43. On March 24, 2009, Sally Blitz-Weisz conducted a speech and language CAPD Screening. Ms. Blitz-Weisz, who testified at hearing, has been a California licensed speech and language (SAL) therapist since 1996, has worked for the District the past 13 years, and was previously at Pasadena Unified School District for 10 years. From 1978 to 1982 she was a SAL therapist in New York, and has approximately 30 years of experience as a clinically certified SAL therapist. She is currently assigned to the District’s Beckford Avenue and Hesby Oaks schools. Ms. Blitz-Weisz received bachelor’s degree in speech pathology (with minor in audiology) in 1976, and her master’s degree in speech pathology in 1978, both from State University of New York, Buffalo. She also received a master’s degree in school counseling in 1991 from University of La Verne. She has a California license in speech pathology, and credentials in people personnel, clinical speech pathology, and aphasia. She also has her Certificates of Clinical Competence (CCCs) from American Speech-Language-Hearing Association. 44. Ms. Blitz-Weisz conducted a CAPD screening to determine if the Student had issues that warranted referral to an education audiologist. She explained that CAPD is a condition where the audio signal to the brain breaks down. In preparing for the testing, Ms. Blitz-Weisz noted that Student was diagnosed with PDD-NOS, anxiety disorder NOS, and a learning disorder for both auditory and visual processing deficits. She reviewed the ABC Program Report, as well as the UCLA Semel Evaluation. 45. Ms. Blitz-Weisz conducted a Screening Test for Auditory Processing Disorders in Children-Revised (SCAN-C/R), which simulated the environments to which the Student was exposed. The tests looked at how auditory signals traveled into the brainstem, and determined whether there was a breakdown of signal in Student. Ms. Blitz-Weisz concluded that Student was compromised, having difficulty hearing in environments where there is competing noise or, perhaps, a teacher with a heavy dialect. 46. Ms. Blitz-Weisz conducted a Differential Screening Test for Processing (DSTP) which was composed of three levels: 1) acoustic; 2) acoustic-linguistic; and 3) linguistic. The results indicated that Student was able to comprehend and express semantic concepts, retrieve language tasks, interpret prosodic features of the message, and discriminate nonsense syllables in the presence of “masking noise.” However, Student had greater difficulty when recalling information presented to both ears, and interceding high and low pitch. Overall, Student had more difficulty at the lower levels. Ms. Blitz-Weisz concluded that Student needed to be seen by an audiologist. 47. Ms. Blitz-Weisz conducted a Comprehension Test of Phonological Processes (CTOPP), which assessed Student’s phonological awareness, phonological memory, and retrieval skills. Since a visual processing disorder had been documented, she utilized the CTOPP test to assess sound segmenting/sound blending skills. Student scored average to above average, except in the area of remembering numbers with more than four digits, where he scored below average. 48. Ms. Blitz-Weisz concluded that Student was at some risk of auditory processing deficits. Since she could not diagnose CAPD, she referred Student for assessment by an audiologist. 49. On April 24, 2009, Susan Diaz-Rempel conducted a CAP and Audiologic Evaluation. Ms. Diaz-Rempel, who testified at hearing, has been an educational audiologist for 10 years with the District, and prior to that, was in private practice for 10 years. She is assigned to the District’s Valley Audiologic Research Center, but also travels to different schools as needed. Her duties and responsibilities include searching for, and serving children with hearing loss. After children fail audiometric screenings, they typically come to Ms. Diaz-Rempel’s department for more in-depth testing. She also performs CAPD evaluations. 50. Ms. Diaz-Rempel received her bachelor of arts in 1985, and her master of arts in 1989 in communicative disorders, from California State University at Northridge. In 2003, she received her doctorate in audiology from Arizona School of Sciences. She holds licenses in audiology and hearing aid dispensing. She also has Certificates of Clinical Competence (CCCs) in audiology from American Speech-Language-Hearing Association. 51. At hearing, Ms. Diaz-Rempel explained that psychological auditory processing testing was fundamentally different from a central auditory processing test. To evaluate a child’s central auditory system, meant testing a child’s ability to recognize information, and repeat it. On the other hand, when a psychologist evaluated auditory processing, the testing was language driven and sought to determine if the child was able to derive meaning from the message. Central auditory testing evaluates the process of a message getting to higher functions of the brain, not the meaning of the message. 52. She observed that Student had integration difficulty, which meant he had difficulty deriving understanding from linguistic content. Student’s phonological performance and memory issues assisted Ms. Diaz-Rempel in determining the issues requiring evaluation. After performing basic impedance tests of the ears, she proceeded with six different assessments: 1) the Filtered Speech Test; 2) the Staggered Spondaic Word Test; 3) the Dichotomy Digits Test; 4) the Pitch Pattern Sequence Test; 5) the Competing Sentence Test; and 6) the Random Gap Detection Test. 53. The Filtered Speech Test assessed Student’s auditory closure. Student scored within the normal range, indicating that he was able to follow a sound as integrated. The Staggered Spondaic Word (SSW) test assessed binaural integration, which was the ability of the right and left hemispheres to communicate with each other, enabling one to translate messages. Student did not do well and demonstrated a binaural integration issue with the left ear. Ms. Diaz-Rempel explained that in a practical setting, if teacher and another person asked questions at the same time, Student would have difficulty understanding both. 54. The Dichotomy Digits Test (DDT) was similar to the SSW, but used numbers instead. Student did better, suggesting a language processing issue. The Pitch Pattern Sequence Test (PPST) was a test using tones as stimuli, and evaluated how well the Student delineated the patterns and sequencing of speech. Student’s performance indicated he had trouble communicating between the right and left hemispheres. 55. The Competing Sentence Test evaluated Student’s ability to filter background noise. The results indicated that Student had a left ear weakness. This was indicative of a binaural separation deficit. The Random Gap Detection Test (RGDT) determined how well a student understood quick language, distinguishing words and phrases in speech. Student performed very well on this test. 56. The CAP and Audiologic Evaluation determined that Student had a binaural integration and separation disorder. He failed three of the six tests, and had a left ear weakness. He also had challenges with integration and binaural separation, impacting Student’s ability to separate a primary message from another. Ms. Diaz-Rempel noted that Student displayed attention issues or distractibility throughout the testing. 57. Ms. Diaz-Rempel said that Student’s CAPD of binaural integration and separation was treatable by accommodations and strategies. Student did not have difficulty with filtering. She concluded that the binaural integration deficits could be remediated, and a treatment plan needed to be determined by a multidisciplinary team. She proposed a number of accommodations and strategies, including 1) visual augmentation in the classroom, such as demonstrations and examples; 2) a classroom “buddy” who could assist in clarification of assignments and, perhaps, a note taker; 3) verbal rehearsal (silently repeating information to improve recall), paraphrasing and outlining; 4) exercises designed to improve interhemispheric transfer of function, such as singing, dancing, playing musical instruments, and linguistic labeling of tactile stimuli (e.g. reaching into a bag and describing what the child feels); and 5) direction-following games or activities that require actions in the specified pattern (e.g. Simon Says, recipes). 58. Ms. Diaz-Rempel also made recommendations based upon her review of the UCLA Semel Report, such as 1) Prosody training, which is specific therapy focusing on perception and production of supersegmental aspects of speech (i.e., rhythm, stress and intonation), gestalt, patterning skills, and oral reading with exaggerated prosodic features; 2) keyword extraction; and 3) whole-body listening techniques (emphasizing attention to facial expressions and body-language cues). 59. The May 2009 IEP contained a PLOP for speech and language, which was prepared by Ms. Wallace. Ms. Wallace indicated that Student performed within the average range on most of the assessments, demonstrating an ability to answer questions after hearing a lengthy paragraph, and to stay on task throughout testing with cues. Ms. Wallace reported that the only scores below average were those associated with Student’s pragmatic judgment, coinciding with informal assessment results. She determined that that Student’s areas of need were social skills, knowledge, language, and inferencing. She also pointed out that Student demonstrated difficulty in making reductions, giving directions, and taking the perspective of others. Combining sentences into compound structures using conjunctions were also an area of weakness. Consistent with her report, Ms. Wallace recommended speech and language services one day per week, for 30 minutes per session, in a small group setting. She stated the focus of the therapy would be in the area of social skills, inferencing, and in nonliteral language. She also recommended accommodations consisting of repeated directions, checking for understanding, and instructions given both verbally and visually. 60. The IEP also contained a PLOP entitled basic central auditory processing assessment, which summarized the basic central auditory processing scanning performed by Ms. Blitz-Weisz. An additional PLOP for audiology was prepared by the education audiologist, Ms. Diaz-Rempel, based on her assessment results. Ms. Diaz-Rempel recommended a number of strategies and modifications, including exercises to improve interhemispheric transfer of information, teach Student to look and listen, present information sequentially, listen to music while studying, use a classroom buddy, verbal rehearsal, and visual augmentation in the classroom. She also recommended the use of certain games and puzzles, requiring actions in specified patterns. The IEP’s auditory PLOP referenced Ms. Diaz-Rempel’s report for a complete list of her findings and recommendations. 61. Ms. Wallace prepared two new goals and objectives in the area of pragmatics and receptive language. For pragmatics, the annual goal was for Student to demonstrate the ability to accurately judge the perspective of others by taking into account facial expressions, and body language, for the purpose of tailoring his communication to make appropriate remarks, comments, and questions, in four of five trials, with 80 percent accuracy. For receptive language, the annual goal was for Student to improve his ability to make inferences about cause and effect by analyzing evidence and details not directly stated in a passage, without cues in four of five trials with 80 percent accuracy. 62. In accordance with Ms. Wallace’s recommendation, District offered weekly 30 minutes session of speech and language services to address the two added goals and associated objectives. District did not have a speech and language therapist assigned to Carpenter, so it offered the services to be provided by an NPA. District noted that should a speech and language therapist become available at Carpenter, the service would be changed from the NPA to the school. 63. Ms. Hartshorn testified that the May 2009 IEP team reviewed the ABC Program Report and the UCLA Semel Evaluation. Ms. Wallace testified that she had reviewed the UCLA Semel Evaluation, but she did not discuss it in her evaluation. 64. Parents declined to give their consent, citing that 30 minutes per week of speech and language therapy was insufficient, particularly in light of the ABC Program Report and UCLA Semel Evaluation, which recommended 45 to 60 minute sessions, two to three times per week. 65. In addition to speech and language issues, the team discussed Parents’ request for an AB 3632 referral. Parents explained Student was becoming very difficult to handle, that he was engaging in negative behavior at home, and becoming violent. Parents were also concerned that Student’s behavior problems were increasing at school. 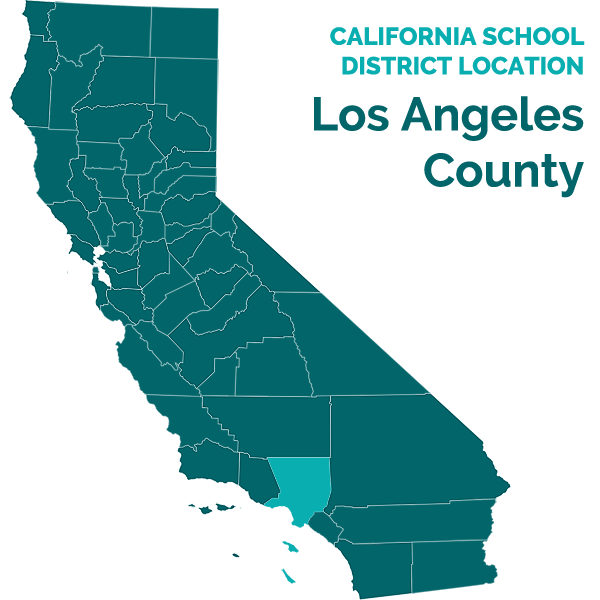 The team agreed to make the referral to the Los Angeles County Department of Mental Health (DMH), but District members noted that they had not witnessed any violent behavior from Student at school. 66. At the end of Student’s third grade year, Student’s grades showed that he was partially proficient in reading, writing, listening, speaking, mathematics, history/social studies, science, health education, and proficient in physical education. His grades in work and study habits showed that Student struggled in organizing his material and presenting neat and careful work. His grades in learning and social skills showed that he scored in the partially proficient range following directions, respecting authority, self-control, conflict resolution, and appropriate social interactions with peers. He scored higher in group cooperation, dependability, responsibility, and fair play. 67. In September 2009, the North Los Angeles County Regional Center referred Student to Dr. Gohar Gyurjyan for an assessment to determine whether Student and his family qualified for services. Dr. Gyurjyan tested Student for mental retardation and autistic disorder. Dr. Gyurjyan administered the Wechsler Intelligence Scale for Children -Fourth Edition (WISC-IV), which scored Student with a full scale IQ (FSIQ) of 81, the low average range. Dr. Gyurjyan also requested Mother to complete the Vineland Adaptive Behavior Scales, Second Edition (VABS-II), in order to assess Student’s adaptive functioning skills. Dr. Gyuryan found that Student rated in the moderately low range for communication, socialization, and independence, and in the clinically significant range for maladaptive behaviors. Dr. Gyurjyan administered the Autism Diagnostic Observation Schedule, Module 3 (ADOS) and the Autism Diagnostic Interview -Revised (ADI-R), and found that, coupled with his observations, interviews, and other test results, Student had significant impairments in socialization and communication. Dr. Gyurjyan further concluded that Student’s behaviors qualified Student for an autistic disorder diagnosis, but cautioned that the symptoms had a mild presentation. Dr. Gyurjyan prepared a report, dated September 11, 2009, setting forth the tests and rating scales he used, the results, and his conclusions (Regional Ctr. Report). 68. On September 21, 2009, the IEP team convened for the purpose of considering a September 11, 2009 AB 3632 Mental Health Assessment conducted by DMH (DMH Report). The team consisted of Parents; Ms. Hartshorn; the SDC teacher, Sharon Green; the general education teacher, Joseph Martinez; special education advocate, Ms. Lowenthal; and the DMH representative, Alissa Daquino. 69. The DMH Report’s assessment procedures included a full review of Student’s IEP’s, the ABC Program Report, the UCLA Semel Evaluation, a private April 22, 2008 psychological assessment report, by Dr. Bruce M. Gale, completed when Student was in second grade 2 , and District’s psychoeducational assessment reports dated October 2007 and September 2006. The DMH assessors interviewed Student; Mother; Father; Parents’ educational advocate, Ms. Lowenthal’ the Student’s private therapist; Ms. Hartshorn; and the Student’s new fourth-grade SDC teacher, Ms. Green. 70. The DMH assessors summarized the reasons for the referral, per Student’s school records, and interviews: 1) poor self-regulation and poor impulse control, inattentive, distractible, disruptive in class (making noises), difficulty sitting still; 2) poor affective management, irritability, readily upset with little provocation, violent behavior at home, verbal aggression, defiance, difficulty calming down when angry or upset; 3) difficulty with communication and social interaction, limited adult relationships, limited social activities, difficulty reading and responding appropriately to social cues, difficulty with social reciprocity, difficulty sustaining relationships, rigid and inflexible thinking, difficulty expressing oneself appropriately; and 4) anxiety and excessive fears. The DMH Report noted Student’s strengths as athletic, a good sense of humor, excellent memory, and determination. 2 Father claimed to have given Dr. Gale’s report to the District, asking for an IEP. However, Father could not state when or to whom he gave the report. His testimony in this regard was unpersuasive. 71. The DMH Report provided a full summary of Student’s history from birth, to the present. The report documented that the family started treatment with a private therapist in the spring of 2009, including weekly, home sessions with Student and Parents to address behavioral issues at home. Both the family and therapist were working on various behavioral interventions. The therapist told DMH that Student would benefit from ongoing, weekly, individual therapy sessions, as well as participation in a social skills group. 72. The DMH assessors reviewed Student’s school history, summarizing each evaluation, assessment and IEP. At the time of the assessment, Student had completed third grade and was just entering the fourth grade in September 2009. Ms. Hartshorn indicated that the Student was well liked by his peers and evidenced some leadership abilities. She also reported that Student struggles with managing his impulses, organizing his materials, and maintaining self-control. Student’s new fourth-grade teacher, Ms. Green, reported that Student had adjusted positively to the first few days of school and seemed to be making new friends in class, along with some prior friendships as well. Student’s Mother reported that Student’s academic performance, behavior, and social interaction continued to decline at school. She claimed that Student appeared to have given up at school, evidencing little motivation and effort. Mother believed Student struggled with his academic work and viewed himself as being stupid. 73. The DMH Report concluded that Student continued to struggle academically, socially and behaviorally. Student’s persistent learning difficulties, and ongoing struggle to obtain academic access, impacted his ability to feel confident, and to sustain motivation at school. Student continued to struggle with reciprocal social skills, relating positively to his peers, and forming and sustaining friendships. He developed internalizing symptoms (anxiety, low self-esteem, social withdraw) and externalizing behaviors (poor anger management, verbal and physical aggression, and defiance). DMH concluded that Student would benefit from continued outpatient therapeutic support to address his anxiety symptoms, improve his social skills, and develop more effective coping skills to better manage his impulses and feelings. 74. The DMH Report found that Student qualified for mental health services under AB 3632, with services being delivered on an outpatient basis. Specifically, DMH recommended individual therapy, once per week, 50 minutes per session, not to exceed 300 minutes per month, family therapy, once every two weeks, 50 minutes per session, not to exceed 200 minutes per month, and group therapy, if available and appropriate. DMH recommended continued medication evaluation with a follow-up by a psychiatrist. 76. The team added a goal for behavioral support, requiring Student to reduce incidences of behavioral acting out by 50 percent, and to improve his coping skills by developing and utilizing self-soothing strategies, up to one time per day. The team identified the SDC teacher and the AB 3632 counselor as the personnel responsible for working with Student on this goal. 77. The team also included a behavior support plan (BSP) to address Student’s calling out of comments, questions, or answers. In a subsequently provided October 6, 2009 written statement, Parents claimed that the BSP was merely attached to the IEP and that the BSP was not discussed or developed during the IEP. Though not discussed during the IEP meeting, Parents had a copy of the BSP and could have asked the team to address the BSP if Parents any disagreement. 78. Prior to the September 2009 meeting, Parents requested the team discuss placement of Student in a nonpublic school (NPS). Ms. Hartshorn testified that Parents requested an NPS at the IEP meeting. However, the District rejected the request by continuing to offer placement in the SDC class. 79. In September 2009, Student began fourth grade in Ms. Green’s SDC class. Ms. Green, who testified at hearing, has worked for the District for 15 years, 11 of those years at Carpenter as a teacher for students with learning disabilities. Before Carpenter, Ms. Green worked for four years at Stoner Avenue Elementary School as a SDC teacher for grades three, four, and five. Between her duties at Stoner Avenue and Carpenter, she worked at Las Virgenes Unified School District for the 1999-2000 school year as a SDC teacher for students with emotional disturbances. Ms. Green received a bachelor of arts in psychology from UCLA in 1993 and a master of arts in curriculum and teaching, from University of Southern California in 1995. She is credentialed to teach students with specific learning disabilities, mild to moderate, as well as has a multiple subject credential. 80. While at UCLA in 1992-1993, Ms. Green studied with Dr. Ivar Lovaas at his autism laboratory, which used the principals of applied behavior analysis (ABA). She worked in a clinical therapy group of children with autistic tendencies. She provided behavior home therapy to an assigned child, using the ABC (antecedent, behavior, consequence) methodology. Ms. Green employed these techniques with Student in her classroom to improve academics and diminish inattention. 81. Ms. Green demonstrated a solid knowledge of autism spectrum disorder (ASD), providing thoughtful explanation of ASD behaviors and traits along the continuum. Severe, lower functioning children exhibit self-stemming, rocking, looking into lights, inability to communicate, and complete lack of eye contact. High functioning children, like those with Asperger’s syndrome, are on the opposite end of the spectrum and might have difficulty making eye contact, struggle with social interaction, and be ritualistic in some of their behaviors. Mid-ASD children can communicate, but might need assistance from another to elicit information or require prompting to participate in activities. She emphasized the breadth of the spectrum, with the countless variations between the extremes. 82. At the time of the September 2009 amendment IEP and the October 2009 triennial IEP, she had known Student for just a few weeks. As the year progressed, Student became more comfortable in her class and Ms. Green became better acquainted with Student’s distractibility and off-task behaviors. Her SDC class consisted of third, fourth, and fifth graders. She reviewed each pupil’s IEP and targeted inappropriate behaviors and individual needs, using the strategies and accommodations in the BSP and IEP. She also used a number of methods to address inappropriate behaviors. For example, she employed a classroom point system, where the pupils could “spend” their points to purchase items at a class store. Points were reduced for inappropriate behaviors. The point method was very effective with Student, who was quite proud of his bag of purchases. When Student was very upset, though, she used other behavior methods. She never had to report or send Student to the principal. 83. In preparation for Student’s upcoming triennial IEP meeting, scheduled for October 2009, Ms. Green prepared an assessment report concerning Student. She noted that Student did not pass the school year’s first two open court reading (OCR) lesson assessments. He was below basic level on the District math assessments, and he scored in the below basic level in both language arts and math. She administered the Kaufman Test of Educational Achievement II (KTEA II), which measures such areas as math, reading, written language, and oral language. Test results indicated that Student’s skills were within the average to below average range of others at his age level. Math concepts, math applications, and listening comprehension were in the average range. Letter and word recognition, reading comprehension, math computation, written expression, spelling, and oral expression were in the below average range. Ms. Green noted Student’s efforts varied throughout the testing, as he became fidgety, requiring prompting. Though the KTEA II showed that Student was functioning academically below the average, Ms. Green did not believe that the scores accurately reflected Student’s class performance. 84. Ms. Green reviewed Student’s classroom performance in written language, reading, and math. Student worked on writing a single paragraph, but his writing was difficult to read due to spacing difficulties. He often asked how to spell words instead of looking them up. He had difficulty writing a complete sentence when answering the OCR questions. Student was able to stay with a central topic in writing. In reading, Student read 75 words per minute, equivalent to the end of third grade. Student had difficulty sounding out unknown words. She reviewed the accommodations which were provided pursuant to the IEP and summarized other prompts which assisted Student in staying on task and maintaining his attention. At hearing, Ms. Green discussed Student’s OCR assessment results for Unit 1, fourth grade, which were taken near the end of the first quarter. Student scored 35 words per minute and the second 61 words for the two fluency tests. His reading comprehension was low, scoring a two when proficiency was an eight. 85. In math, Student worked on mastering his multiplication tables. He had difficulty reading the numbers and writing them in word form, struggling during the rounding classes. Student received accommodations in math, pursuant to his IEP, such as small group instruction and a reduced number of problems to solve in class, as well as for homework. Student had difficulty deciding which operation to choose to solve math problems. He often lost focus and missed pertinent information when the teacher was directing a lesson. He improved his ability to ask questions while the teacher was presenting the work. 86. At the time of the assessment, Student was having difficulty following the classroom schedule. He required adult one-on-one prompting to complete daily progress notes. Ms. Green and the adult assistants used verbal prompts, physical assistance in locating work in his notebook, walking him to the homework basket, and used visual reminders (checklist, picture icons). Student had some disruptive behaviors, like tapping a pencil, chatting with neighbors, repetitively saying something, singing a song, or calling out without raising his hand. Having spent a few more weeks with Student since the September 2009 amendment IEP, Ms. Green saw improvement by October 2009, especially in handling difficult situations in class. 87. In September 2009, Cindy S. Lawless conducted a triennial psychoeducational evaluation of Student. She testified at the hearing. She had been a school psychologist with the District for 12 years. Previously, she was a psychologist with the San Marino Unified School District. Her duties and responsibilities included conducting psychoeducational evaluations, attending IEP meetings, providing DIS counseling, and crisis counseling. Ms. Lawless received her bachelor’s degree in psychology in 1994 from UCLA, and her master’s in educational psychology and counseling in 1999, from Cal State University at Northridge. She is a credentialed and licensed school psychologist. 88. The purpose of the triennial psychoeducational assessment was to evaluate Student’s special education eligibility. At the time of the assessment, Student qualified for special education under the category of SLD. However, Mother reported that Student was diagnosed with autism and had attention difficulties (ADD, ADHD). Consequently, Ms. Lawless evaluated Student for AUT and OHI eligibilities, as well. In preparation for her assessment, Ms. Lawless reviewed Student’s health, family, and education background. She reviewed eight of District’s most recent evaluations of Student, as well as his IEP’s. She reviewed outside assessments, including the UCLA Semel Evaluation, the ABC Program Report, the CAPD evaluation, the AB 3632 mental health assessment, and the Regional Ctr. Report completed by Dr. Gyurjyan. 89. Ms. Lawless utilized the following tests and procedures: Cognitive Assessment Scales (CAS); Woodcock Language Proficiency Battery-Revised (WLPB-R); Learning Efficiency Test, Second Edition (LET-II); Test of Visual Processing Skills, Third Edition (TVPSS-III); KTEA-II; Beery-Buktenica and Developmental Test of Visual Motor Integration, Fifth Edition (VMI-V); Behavior Assessment Scale for Children, Second Edition (BASC-II), Parent Report; BASC-II, Teacher Report; Children’s Sentence Completion; Gilliam Asperger’s Disorder Scale (GADS); Gilliam Autism Rating Scale-Second Edition (GARS-2); parent information and interviews; staff consultation; and Student observation. 90. Ms. Lawless observed the Student on two different days. The first was on September 10, 2009, in Student’s fourth grade SDC, where teacher Ms. Green reported that Student participated in regular physical education with the general education pupils. Student sat at the front of class, middle table. Charts and educationally stimulating materials were displayed throughout the classroom on walls, boards, and cabinets. Classroom agenda was on the board and class rules were clearly posted on the wall. Student sat at his desk, quietly working on an individual puzzle piece which, when combined with the pieces from the other children, would form a wall decoration. Student was polite and respectful, putting his supplies away when prompted by the teacher. Student did not display any maladaptive behaviors during the observation. 91. The following week, Ms. Lawless observed Student at lunch during unstructured time. He sat eating with the other pupils on the benches, having a conversation with the boys around him. He took turns talking, and laughed at appropriate times. After lunch, he went to the play yard, sat on a bench with a friend and talked for the entire recess. The playground assistant told Ms. Lawless that Student was very good at sports and always played, noting that day was the first time he “sat out.” When recess ended, Student followed his classmates into the room, went straight to his desk and cleaned his hands with antibacterial soap. Student sat at his desk, but did not immediately open his book for the silent reading, talking continually with the boy across from him, until Ms. Green asked both boys for “10-points”. The “10-points” was a disciplinary tool used to redirect behavior. Student opened his book, but did not seem to be reading, became fidgety, and flipped through the pages. He then looked around and put his head on the desk. After about 15 to 20 minutes, Student appeared to begin to silently read. Ms. Lawless concluded that Student’s ability to be redirected indicated that he understood rules, the consequences of breaking them, and responded sufficiently to the classroom behavior interventions. 92. Ms. Lawless interviewed Parents via telephone and e-mail. Mother was concerned that Student did not make friends, had difficulty with body language and social cues, took things too literally, and had increasingly become verbally and physically aggressive at home, beginning in Spring 2009. These behaviors decreased at summer break. Student’s behavior had been a problem since he was small, with Mother saying that he had never been an easy baby or child. He always had a temper and trouble making friends. More recently, Parents disciplined the child by the use of a behavior chart at home. Student did not want to do his schoolwork and got easily frustrated. 93. Ms. Lawless spoke with Ms. Green. At the time of assessment, Student had been in her class for a couple of weeks. Student’s second and third grade teacher, Ms. Jauregui, was no longer at the school. Ms. Lawless therefore consulted with the main adult assistant, Deborah Fields, who had worked with Student during his entire third grade year. Ms. Fields reported that Student was cooperative and enthusiastic at school, with excellent physical strength and coordination. He appeared to be a natural athlete and excelled in physical education activities. Student had difficulties with grade level materials, comprehension, focusing, and paying attention in class. He was easily distracted. His schoolwork was often rushed and incomplete. Ms. Lawless reasonably and appropriately concluded that Ms. Fields provided more reliable information for the interview than Student’s new fourth grade teacher, Ms. Green. 94. Ms. Lawless interviewed Student, who reported that he enjoyed playing with his dog, playing soccer at the park, and playing video games. His favorite time at school was physical education. His favorite subject was science; the hardest was math. 95. Ms. Lawless administered the VMI-V because Mother was concerned with Student’s writing skills. The VMI-V results indicated Student’s visual motor integration was in the low average range, while the visual motor speed was appropriate. The TVPS-III assessed Student’s ability to identify and understand visual stimuli. Student was in the low to below average range on the subtests, except for an average rating in visual closure, which was Student’s ability to recognize objects with partial or limited stimulus. 96. Ms. Lawless administered the CAS, which assessed Student’s overall cognitive functioning in four essential activities – planning, attention, succession and simultaneous processing. Planning measured the Student’s mental processes in solving problems. Student was in the low average ability range, indicating he would have difficulty in planning, like math with step-by-step calculations. Simultaneous processing measured Student’s ability to separate pieces of information into a group, seeing how parts were related to a whole. Student showed a below average ability, meaning he would have trouble generalizing information. 97. The attention subtest measured Student’s ability to focus. Student scored in the average range, indicating he was able to sustain attention, but not always in the classroom. The successive processing subtest measured Student’s ability to put information in a specific order. Student scored in low average range, meaning Student struggled with directions. Ms. Lawless concluded Student would perform better if he received directions in short increments. 98. The LET-II measured Student’s auditory and visual memory skills, with and without interference. Student’s overall visual and auditory memory was in the low average range. He performed better with nonsequential information and visual long-term memory. 99. The WLPB-R evaluated Student’s language skills using a number of subtests focusing on linguistic competency, semantic expression, expressive vocabulary, listening, verbal comprehension, and reasoning. He was low to below average in listening comprehension and verbal analogies. Student’s overall oral language ability scored in the average range, indicating he could communicate in the classroom. Ms. Lawless noted the history of early LAS difficulties and that Student received LAS intervention from the Regional Center. For further analysis of Student’s LAS needs, Ms. Lawless referred to the triennial LAS assessment being conducted by Ms. Wallace’s triennial LAS assessment. 100. As part of social-emotional and behavior observation testing, Ms. Lawless utilized the Sentence Completion Test, where she provided open-ended sentences, and asked Student to complete them. The responses provided indications of attitudes, beliefs, motivations, or other mental states. Student’s recurring theme was that he associated particular individuals with feelings of anxiety in his environment. 101. The BASC-II was a set of scales, which Mother and Ms. Field completed, rating how often a particular behavior occurred. The BASC-II testing protocols called for a rater to have known the student for at least six months; therefore, Ms. Lawless reasonably concluded that Ms. Field was better suited to complete the scales than Ms. Green. Scores in the clinically significant range suggested a high level of maladjustment. Scores in the at-risk range suggested a significant problem which could require formal treatment and which may need careful monitoring. The BASC-II measured 25 behaviors. 102. Mother rated Student’s behavior to be clinically significant in areas of hyperactivity, aggression, anxiety, depression, withdrawal and functional communication. Ms. Fields’ behavioral ratings were less severe, with only one clinically significant rating, for depression. Ms. Fields rated Student’s conduct problems, anxiety, somatization, social skills and leadership as adequate. Mother rated nothing in the adequate range. Ms. Lawless concluded that Student functioned better in class, emotionally and behaviorally, than at home. Ms. Lawless explained that such scales provided a snapshot of Student at a particular point in time and environment. She therefore corroborated the scale results with Ms. Green and utilized all the test results, history, observations, and interviews in evaluating Student’s behavior. Ms. Lawless concluded that Student’s social and emotional skills were adequate at school and at-risk at home. 103. Ms. Lawless requested Mother and Ms. Fields to complete the GADS rating scale, so Ms. Lawless could ascertain whether Student exhibited behaviors associated with Asperger’s disorder. The scale rated four specific areas: 1) social interactions (interactive behaviors, expression of communicative intent, and cognitive/emotional behaviors); 2) restricted patterns of behavior (behaviors that are consistent with Asperger’s disorder); 3) cognitive patterns (speech, language and cognitive skills); and 40 pragmatic skills (ability to understand speech, language and academics). Ms. Lawless did not use the GADS to diagnose the existence of Asperger’s; she was evaluating characteristics. Similar to the BASC-II scales, the GADS scores were different between home and school. Asperger’s-like characteristics were more prevalent at home, than the more structured school setting. 104. Mother and Ms. Fields also completed GARS-2 scale ratings, which identified autistic-like characteristics. Mother’s scale indicated a very likely probability of autistic characteristics in the home, while Ms. Fields’ scale showed a possible probability in the classroom. Based upon GADS, GARS-2, and her observations, Ms. Lawless concluded that Student had characteristics more consistent in children with Asperger’s disorder than autism, which still fell under the special education AUT category. She further concluded that Student’s behaviors were more consistent with autism in the home than in the school setting. 105. Overall, Ms. Lawless concluded that Student’s cognitive ability was in the low average range, with relative strengths in auditory immediate memory, picture vocabulary, and oral vocabulary, which were in the average range. In addition, Student had low average abilities in planning, successive processing, visual/auditory rote memory, and verbal analogies. He had weaknesses in sensory-motor integration (ability to combine visual and motor skills), simultaneous processing, and listening comprehension. His ability to learn, apply knowledge, generalize, evaluate, and utilize abstract concepts appeared to be in the low average range of ability. As such, Ms. Lawless concluded that Student had a basic psychological processing disorder, governing auditory processing disorder (specifically comprehension and reasoning), visual processing disorder, and an attention disorder. Ms. Lawless found that Student was eligible under AUT, in addition to SLD. 106. Ms. Lawless’ report included 12 recommendations: 1) continued DIS counseling; 2) BSP in which Student would be rewarded for desired behaviors; 3) continued warm, emotional support at home and school, with encouraging reminders of what Student does well; 4) use of Student’s interests (e.g. dogs) as a motivator to encourage academics; 5) providing Student with opportunities for success; 6) multi-modal strategies to reinforce learning (e.g. say text out loud while Student reads text); 7) outline class notes to address processing delays; 8) break tasks into smaller components, which could be combined with the original task after incremental successes; 9) seat at front of class or next to teacher for focus and on-task behaviors; 10) stronger reinforcement the longer Student demonstrates appropriate behavior; 11) structure the learning environment to prevent opportunities for verbal or physical aggression towards others; and 12) encourage Parents to have physician continue to monitor Student’s medication regime. 107. In September 2009, occupational therapist (OT), Heather Glunk, performed an assessment on Student for his triennial IEP. Ms. Glunk, who testified at hearing, started working for Glendale Unified School District in August 2010. For the 2009-2010 school year, she worked for an agency which contracted with District to provide school-based OT services. She previously worked as an OT for the Princeton Medical Center in New Jersey for six years, and also provided OT services for children and adults in convalescent homes and hospitals. Following a five-year combination program, Ms. Glunk received a bachelor of science in general science and a master of science in occupational therapy, from Misericordia University of Dallas, Pennsylvania, in 2001. She is a licensed OT in California, New Jersey, and Pennsylvania, and certified in Sensory Integration and Praxis Tests (SIPT), Therapeutic Listening Program (TLP), and Handwriting Without Tears print tool. 108. Ms. Glunk interviewed Mother and Ms. Green, observed Student in the classroom and clinic, reviewed Student’s work samples, and utilized various standardized assessments. In class, she observed that Student had difficulty with spacing between words, sizing of letters, adhering to given boundaries, and letter formation. He had difficulty copying words using correct spelling. Neuromuscular observations indicated Student had functional range of motion, movement of arms and legs within all planes, good muscle strength, and postural stability. He displayed adequate balance and equilibrium to navigate safely in his school environment. He did have difficulty maintaining an upright-seated posture during classroom tabletop activities. 109. Ms. Glunk administered the VMI-V, not knowing that Ms. Lawless had given to Student the week before, and scored Student in the average range for visual-motor integration. Student demonstrated poor line orientation, word spacing, letter formation, and omitted and reversed letters when copying. She gave Student the Wold Sentence Copy Test, which showed that Student had poor writing speed and legibility. Ms. Glunk concluded that Student’s minor difficulty in visual motor skills affected his ability to access his educational environment at peer level. 110. For sensory processing, Ms. Glunk evaluated Student’s associated sensory systems. She found that Student exhibited no maladaptive tactile-seeking, and displayed adequate coordination and movement, without relying on vision. She found that he applied inadequate pressure on utensils, causing him to press hard when writing. Student demonstrated functional ability to come up with an idea and develop a plan to carry it out (praxis). He also had adequate self-help skills to manage his clothing and school materials, and was able to maintain appropriate personal space between peers and adults. 111. Ms. Wallace prepared a September 24, 2009 speech and language assessment report for the triennial, even though she had conducted an LAS assessment in May 2009. She interviewed Mother, teacher Ms. Green, observed Student in the classroom and during testing, took language sample, and administered standardized assessments. She used the Expressive One-Word Picture Vocabulary Test, which measured ability to name objects, actions, and concepts from illustrations. Student score was in average range. Ms. Wallace said that Student had knowledge of an adequate number of words and meanings. Student’s testing demeanor was detached, showing a lack of effort to succeed at the presented tasks. On the Receptive One-Word Picture Vocabulary Test, which measured the ability to understand meaning of single words, indicating the extent of English hearing vocabulary, Student scored in the average range. 112. Ms. Wallace gave Student the Test of Language Development-Intermediate, Fourth Edition (TOLD-I:4), which measured Student’s language development and provided norm for his age group. Student performed in the average range on the listening and semantics composites, but in the poor range on the organizing, speaking, grammar and spoken language composites. He scored in the very poor range on the sentence combining subtest. 113. Ms. Wallace took a language sample to measure Student’s ability to produce language in a natural context. Student demonstrated word finding difficulties, using filler words and nonspecific language. He did not initiate or maintain any conversations without direct assistance. He fidgeted, making minimal eye contact. Ms. Wallace concluded that these behaviors could indicate an overall lack of effort and motivation to participate in conversations. 114. Ms. Wallace concluded that Student’s deficit in the ability to organize words into complete sentences, and combine simple sentences into more complex structures, negatively impacted his performance in his educational program. She identified, as an area of concern, Student’s receptive and expressive language skills, with deficits in morphology, syntax, and pragmatics. His expressive morpho-syntactic and pragmatic language deficits made it difficult for him to engage in meaningful discussions with peers, take turns, and stay on topic. Ms. Wallace concluded that these factors impacted his ability to access his education curriculum. 115. The team convened Student’s triennial IEP meeting on October 12, 2009, but soon continued the meeting to October 22, 2009, at Parents’ request. The team consisted of: Parents; Parents’ advocate, Ms. Lowenthal; Parents’ attorney, Arlyn Latin; Carpenter principal, Joseph Martinez; Ms. Green; general education teacher, Hope Matthews; Ms. Lawless; Ms. Glunk; Ms. Wallace; and director of school services and principal school leader, Mercedes Velasquez. School nurse, Aida Hernandez, could not attend the continued IEP meeting, so Mr. Martinez presented her health information report in her stead. The IEP lasted approximately seven hours. 116. In addition to presentation of Student’s triennial assessment reports, the team discussed Student’s goals. Student met one of his two math incremental objectives but not his math goal. He met both of his reading incremental objectives, but missed achieving his reading goal. He met his two incremental objectives in written language, but did not his annual goal. Student met his social-emotional objectives and goal. Student also did not meet his speech and language goals, or any of his incremental objectives, in pragmatics and receptive language. Student did not meet his OT goal, although he met two incremental objectives. The team developed new reading, written language, math, vocational, speech and language, and OT goals. 117. The team also developed a behavior support plan (BSP), which listed Student’s tendency to lose focus, and to go off task. The BSP identified behavioral predictors (unstructured time, emotional state, room conditions), supports (interactions with adults, clear consequences), and environmental changes to reduce problem behavior (allow completion in parts, different work areas, breaks, specific supportive words, cuing, praise, and accommodated work). It also included teaching strategies to promote self-management and self-regulation. The BSP provided that appropriate behaviors would be acknowledged by smiles and high-fives, free time, preferred activity, and other reinforcements. The BSP goal was for Student to reduce incidents of behavioral acting out by 50 percent and to develop and use self-soothing strategies up to once a day. 120. As Carpenter’s principal, Mr. Martinez was the IEP’s designated administrator. At hearing, Mr. Martinez testified that he had only been the principal for seven weeks at the time of the triennial meeting, and had not been involved in any of Student’s previous IEP’s. Mr. Martinez has been employed by the District for 20 years. Previously, he was the APEIS, in charge of special education, for two years. He was a generic assistant principal at Langdon Elementary for two years and an instructional specialist in mathematics for four years. He was a District teacher of third, fifth and sixth grades for 10 years, and a teaching assistant for a year. 3 The box authorizing ESY was not checked, though the narrative clearly stated Student was ESY eligible. This was later corrected by an amendment. 4 Per the LAS Services log, District completed delivery of the compensatory LAS therapy sessions in June 2010, more than a year after the May 2009 amendment IEP. 121. As Carpenter’s principal, Mr. Martinez oversees 900 students’ instructional programs, coordinates and leads professional development of the teaching staff, monitors the regulations and guidelines governing the staff and program, in accordance with District policy, oversees the discipline of students, and maintains the school’s facilities and operations. Mr. Martinez received a bachelor of arts in economics from Loyola Marymount University in 1990, and a master of arts in education leadership and policy studies from California State University at Northridge, in 2000. He possesses California credentials in single subject elementary education teaching and administrative services. 122. As the IEP administrator, Mr. Martinez was responsible for assuring the attendance of necessary parties at Student’s triennial IEP meeting, and maintaining District standards. Prior to the meeting, he reviewed Student’s previous IEP’s, as well as his grades. Mr. Martinez noted that Student did not reach grade level performance in any academic area. However, his professional opinion was that the assessments and evaluations demonstrated that Student was making meaningful academic progress. He considered Student’s placement in Ms. Green’s SDC as appropriate, given individualized attention Student received in a small class, with a low student-to-adult ratio. Student had never been sent to him for discipline. 123. Ms. Green also believed Student’s placement in her SDC class was appropriate, as well as his related services, because she had seen significant improvement in Student’s behavior, attitude, and happiness. She believed Student’s performance was in accordance with his ability level. She based her opinion upon achievement testing, Student’s class performance, and the evaluations and assessments of the other professionals. 124. Student did not meet his LAS pragmatics and LAS receptive language goals. He did not meet any of his incremental LAS objectives. Ms. Wallace prepared the LAS PLOP, which summarized her LAS assessment. 125. Ms. Wallace prepared two annual goals in pragmatics and receptive language, for which LAS therapy was solely responsible. Ms. Wallace testified that she participated in writing a third LAS goal during the IEP meeting, in auditory processing. Ms. Wallace said that this goal was added at the Parents’ request and addressed Student’s need to listen to and follow directions, which was identified by outside assessments as an auditory deficit. Though the added goal addressed additional LAS needs, the District did not offer additional LAS services. 126. At the triennial IEP, Ms. Glunk reported that Student did not meet his 2008 annual IEP OT goal, although he met the two incremental objectives. She reported the OT PLOP. Student displayed good gross motor skills and, with verbal and visual cues, was able to space and size letters correctly. His area of need continued to be his writing, where samples showed inconsistency in sizing spacing, and incorrect formation of some letters and numbers. Ms. Glunk said that Student’s writing was improving. At hearing, Mother produced writing samples from third and fourth grade to demonstrate the lack of improvement. The samples showed that Student still struggled with writing in fourth grade, as described in Ms. Glunk’s assessment. Student’s deficits in fine motor, visual motor and/or sensory motor skills continued to affect his writing, but the assessment and samples showed meaningful incremental improvement in size, form, and spacing. 127. She proposed a new annual OT goal for Student. Ms. Glunk recommended continued OT services, 30 minutes a week. Ms. Glunk was asked to explain why her proposed goal was less challenging than the second grade 2007 annual IEP OT goal. She believed that second grade OT goal was unrealistic, given Student’s delays and deficits. She stated her proposed goal was appropriate based upon her assessment of Student’s then current functioning and that the services were sufficient for Student to achieve his goals. 128. The IEP provided 12 accommodations: extra time, small group instruction, hands-on materials, repeated directions-repeated back, shortened assignments, shortened homework, math manipulatives, preferential seating, graph paper for math, multiplication chart, colored overlay bookmark, use of visuals/visual prompts. 129. Following the IEP, Parents submitted a letter – prepared with the assistance of advocate and counsel – listing their objections. The letter did not mention the BSP. Though not agreeing to the offer of placement and service, Parents did give the District permission to implement the IEP. 130. Parties submitted Student’s progress reports for third (2008-2009) and fourth (2009-2010) grades. In reading, writing, listening, speaking, mathematics, history/social studies, and science, Student’s achievement grades were “2,” which meant “partially proficient,” for both third and fourth grades. Student’s marks for effort in the same classes were generally “3,” meaning “consistent.” For all three fourth grade reporting periods, Student had only one “inconsistent” rating for effort; the rest were “3.” In health education, he received a “2” achievement score for all three reporting periods in third grade, and a “3” the last two reporting periods of fourth grade. He excelled in physical education, receiving “3” for achievement and usually “4” for effort, during both grades. Student never received a “1,” meaning “not proficient,” as an achievement score in any subject over the two years. Despite the increasing complexity and challenge of curriculum, Student generally maintained the same grades in the cores classes for the two years. 131. The progress reports also charted Student’s work and study habits. In third grade, he struggled in organizing his material and presenting neat and careful work, receiving scores of “1.” In fourth grade, he increased these scores to “2,” while getting a “3” for making good use of time, working independently, and completing timely homework. The reports charted Student’s learning and social skills. He ended third grade with scores of “2” for following directions, respecting authority, self-control, conflict resolution, and appropriate social interactions with peers. He scored “3” in group cooperation, dependability, responsibility, and fair play. In fourth grade, Student scored a “3” in every area of learning and social skills, except for a “2” the first reporting period in self-control. 132. Student’s Mother testified, and explained she had three areas of concern: 1) Student’s inability to make friends and interact socially; 2) Student’s anxiety, especially associated with homework and school performance; and 3) Parents’ frustration with, and lack of faith in, the District and IEP process. Mother described her son as the most intense person she had ever met. She said that Student was not a happy, friendly child. He was very self-conscious and anxious, would take things literally, and was very rigid in behavior and in how he thinks. 133. Mother believed that Student lacked the ability to form reciprocal relationships and, consequently, has not made friends. Parents have typically been the initiators in creating opportunities for the Student to interact socially with other children, and Student has not gotten better at initiating play since preschool. Student only showed reciprocity in conversations if it concerned a topic he liked. Although Parents created opportunities for Student to form relationships, by playing on soccer teams, participating in track meets (and winning events), and going to afterschool programs, these social events only frustrated Student, because he was unable to form close relationships. Student would often take out his frustrations on his sister and Parents. Mother further explained that Student seldom formed friendships in school. Over the years, when she had seen Student on campus, he was almost always alone. 134. Mother and Father observed Student’s deep anxiety, especially related to his homework and success in school. Generally, Student required things to be done in a certain way. If not, he would become upset and even accuse others of lying because events appeared to be unfolding differently from what he envisioned. These tendencies spilled over into his schoolwork. Mother described an evening’s homework as an excruciating experience for both the Student and the Parents. Student required substantial help with his homework; he could not work independently. It regularly took the entire evening for Student to complete his homework, with him becoming increasingly anxious as the night progressed, because he might not finish. On a bad night, Student would take four hours to do his homework because of his frustrations. Student would begin to panic and the panic would prevent him from focusing and doing the work. He would become increasingly agitated because he feared there would be a consequence the next day in class. This has continued to be a common, everyday cycle. 135. Student offered a July 2010 neuropsychological assessment to demonstrate that District should have provided other services and to assist in fashioning a remedy. Neuropsychologist Karen I. Mason, Ph.D., assessed Student in July 2010, issuing an August 24, 2010 report. She interviewed the Parents, reviewed all available records, used a number of scale instruments, and administered three days of assessments. She never observed Student outside her office. 136. Dr. Mason testified at the hearing. She has a 1994 bachelor of science in psychology from Queens University in Ontario, a 1996 master of arts in clinical psychology from Howard University, from where she also received and a doctorate in 2000. She has had coursework in autism as part of her degree curriculum, in her internship, during her postdoctoral studies, and in continuing education. She had clinical exposure at the internship and post-doctoral levels, performing assessments of children with autism, under the supervision of a licensed clinician. Before Student, she had been involved in one other IDEA due process proceeding; this was her first time testifying. 137. Dr. Mason’s evaluation was conducted months after the filing of the due process complaint and, therefore, was not available to the prior assessors or IEP teams. Her report had not since been evaluated and considered by an IEP team. Dr. Mason’s testimony and assessment confirmed many of the prior evaluations’ findings. She verified that Student was ASD at home and school; she disagreed with the notion that Student had Asperger’s. She affirmed that Student was impaired in reading other people or understanding what other people might be thinking. Student could misinterpret nonverbal communication, like seeing aggression in a person’s neutral expression. He lacked empathy. Student was in the low to average range cognitively, which was generally consistent with prior findings. She thought the gap between Student’s cognitive and achievement levels had increased to two years. She could not state that Student regressed. She said that Student made progress but, in her opinion, the progress was not meaningful because Student could have made more progress. She acknowledged that factors other than Student’s educational program could contribute to a widening gap between cognitive and achievement levels, such as greater levels of difficulty, inadequate interventions, and increasing academic demands. 138. Dr. Mason said that Student had significant difficulties with executive functioning because of his autism. Children with Student’s profile cannot overcome their executive functioning deficit by mere self-control. Dr. Mason testified that Student’s executive functioning could improve with behavioral therapy. Dr. Mason also concluded that Student did not have reciprocity in conversations, saying she saw no reciprocity during her testing of Student. Based on Student’s entire neuropsychological profile, Dr. Mason recommended ABA therapy at school, five days a week, five to six hours a day; that is, whenever Student was at school. Further, Dr. Mason indicated that the school should have provided ABA therapy in the 2008-09 and 2009-10 school years because of Student’s PDDNOS diagnosis, putting him on the autism spectrum. 139. Dr. Mason’s had no specific training in ABA but gained knowledge of current ABA research through her mandatory continuing education classes. She reviewed various articles of empirical studies regarding ABA in peer-reviewed journals. She acknowledged she did not know what five to six hours a day of classroom ABA looked like. She did not consult with an ABA specialist. She demonstrated unawareness of Student’s classroom environment, his responsiveness to intervention models and strategies, and the training and experience of Student’s teachers and staff. 140. Dr. Mason identified Student’s struggles with phonological processing, the converting of letters into sounds. She said this affected his reading because Student could not “sound out” new words. Student compensated by trying to remember words, which was inefficient because one can store only certain amount of words. She thought that the phonological processing also affected his writing. She recommended therapy like the Lindamood-Bell model. Before Dr Mason’s August 2010 evaluation, these deficits were not identified. 141. In reviewing Student’s assessments and records, Dr. Mason said she would have provided LAS therapy at the December 2008 annual IEP, based on the UCLA Semel Evaluation. She thought LAS therapy addressed many of Student’s deficits, was at the core of his needed services, and should have been evaluated earlier. She was critical of District’s delay of delivering LAS services and believed the 30 minutes a week grossly inadequate to address Student’s LAS needs. She recommended 90 minutes a week of LAS therapy, the same as the UCLA Semel Evaluation. 142. Dr. Mason recommended 90 minutes a week of educational therapy for reading, writing, math and executive functioning. She listed additional recommendations for Student’s education. Many of these were already in place as part of Student’s IEP services, curricular program, and SDC placement. Dr. Mason’s testimony revealed a lack of knowledge regarding Student’s existing educational program. 2. Student contends that the District was obligated to call IEP meetings and revise his IEP’s because he was not making progress toward his goals or in the general curriculum in the 2008-09 and 2009-10 school years. District contends that Student made steady progress toward his goals and received educational benefits for both school years. 11. Student contends that his unique needs entitled him to ESY for the 2008-09 and 2009-10 school years. District contends that Student was provided ESY for summers, 2009 and 2010. 13. Student contends that he was denied a FAPE during the 2008-09 and 2009-10 school years because the District failed to appropriately assess him in all areas of suspected disability. District disagrees, and contends that it appropriately assessed Student in all areas of suspected disability. 28. Student contends that he was denied a FAPE during the 2008-09 and 2009-10 school years because the District failed to offer goals and related services appropriate to meet Student’s unique and individual needs. Specifically, Student argues that District should have offered goals and services to meet his needs in behavior, language, communication, socialization, core academics, phonological processing skills, social-emotional needs, executive functioning, auditory comprehension and integration skills, sensory integration and visual motor skills, as well as fine motor skills. District disagrees, and contends that it provided appropriate goals and related services in all areas of need. 36. For Issue 3C concerning monitoring and facilitating communication, Student presented no evidence that he had a separate and unique need in the area of monitoring and facilitating communication goals. 41. Student contends that District denied him a FAPE by failing to consider professional reports obtained by Parents, misrepresenting Student’s reading progress in the general curriculum and toward IEP goals, ignoring Parents’ request for an IEP meeting to discuss a private evaluator’s report, and for predetermining the contents of Student’s September 2009 amendment IEP, thereby committing a procedural violation, which significantly impeded Parents’ ability to meaningfully participate in the decision-making process in the provision of FAPE. District disagrees, and contends it considered Parents’ private evaluations and reports, accurately reported Student’s reading progress, and did not predetermine Student’s September 2009 amendment IEP. 47. For Issue 4B concerning District’s alleged misrepresentation of Student’s reading progress, Student presented no substantive evidence indicating that District teachers or assessors misrepresented Student’s progress in reading. 49. Student contends that District failed to respond to Parents’ requests for educational therapy, NPS, and a behavioral intervention plan because District did not provide prior written notice. District contends that such notice was unnecessary because the requests were adequately addressed at the meetings, as documented in the IEPs. 52. In Issue 5D, Student claimed that District did not consider Parents’ request for a behavioral intervention plan (BIP). Now, in his closing brief, Student changed this issue asserting that Parents formally requested a behavior assessment at the May 2009 amendment IEP and ABA therapy at the October 2009 triennial IEP. These requests are not the same as a request for a BIP and are not issues in this due process. Therefore, Student has failed to meet his burden in proving Issue 5D. 53. Student has prevailed on the issues related to inappropriate LAS assessments and insufficient related services, denying Student a FAPE. Student contends that he is entitled to NPA LAS therapy as a result of District’s FAPE denial. Specifically, Student requests 110 hours a year for the two years preceding the due process filing, for a total of 220 hours of LAS therapy from an NPA. 56. Here, District failed to provide Student with a FAPE during the 2008-09 and 2009-10 school years, when it failed to appropriately assess Student’s LAS needs and provide adequate speech and language services, at the May 2009 amendment IEP and again at the October 2009 triennial IEP. Specifically, District provided only 30 minutes per week of speech and language services, when it should have provided, at a minimum, 90 minutes per week, including 30 minutes individual LAS therapy. District’s services of 30 minutes a week of group therapy did not adequately address word retrieval, auditory memory and processing, abstract language, reasoning, critical thinking, pragmatic and social communication, and expository, narrative and conversational skills in oral language expression. The UCLA Semel Evaluation provided a more dependable guide of the LAS services needed to address these needs. 57. Since the May 2009 amendment IEP, Student has only received 30 minutes per week of therapy, when 90 minutes a week was appropriate. Therefore, Student is entitled to compensatory services. An award need not provide a “day-by-day compensation” (Student W. v. Puyallup School District, supra, 31 F.3d 1489, 1497) but, instead, should be reasonably calculated to provide educational benefits for the lost services (Reid ex rel. Reid v. District of Columbia, supra, 401 F.3d 516, 524). (See Legal Conclusion 55, incorporated by reference.) However, calculations assist in fashioning a fair and beneficial remedy. 58. FAPE denial started with the May 27, 2009 amendment IEP and continued to the present, with Student missing one hour of LAS services per school week. Neither Student nor District presented evidence related to the number of school weeks during this time. A typical school year is 36 to 40 weeks of instruction; ESY is four weeks. A reasonable estimate of lost LAS services since the May 2009 IEP, including the two ESY sessions, is 70 hours. 59. Student is awarded 70 hours of speech and language therapy, through an NPA, to be used at the discretion of Parents outside of school hours, even when school is not in session. The 70 hours must be used no later than July 31, 2012. Student is not entitled to any other requested relief. 1. Within 45 days of the date of this decision, District shall arrange for an NPA to provide Student a total of 70 hours of individual speech and language therapy. Student must use his 70 hours by July 31, 2012, or the services will be forfeited. Education Code section 56507, subdivision (d), requires that this Decision indicate the extent to which each party prevailed on each issue heard and decided in this due process matter. Student prevailed on Issues 2C, 2L, 3B, 3I, and 3J in that District failed to appropriately assess in area of LAS and failed to provide appropriate LAS services, resulting in the denial of a FAPE for the 2008-2009 and 2009-2010 school years. District prevailed on all other issues.